To see a crow in a dream refers to an executive whose period is closed, an old love, jobs which will be done without waiting profit. Alternatively, this dream is telling you that you will meet with one of your old lovers or friends. To see a crow as it flies in your dream means that you will be happy because of a meeting. If you see a crow which is on the wall or tree or roof in your dream, it refers to a sad meet. To see a crow inside the home in your dream may represent that one of your family members will lose his/her job or s/he will avoid from the home responsibilities. To see that the voice of a crow is very high in your dream may imply that your lover whom you were separated or your friend whom you part company with suffers too much. To see a baby crow in your dream may represent that you will get big amounts of profits by doing a job which is related to a job remained the past. Alternatively, it is telling you that an old love will blaze up. To see a dead crow in your dream denotes that you will get rid of the bad things. If you see that you kill a crow in your dream, it indicates that you will beat the enemy. To see that you chase a crow in your dream may suggest that you will come to the power by dominating your rival who is older than you. To see that you catch a crow in your dream means that you will take a good job over. 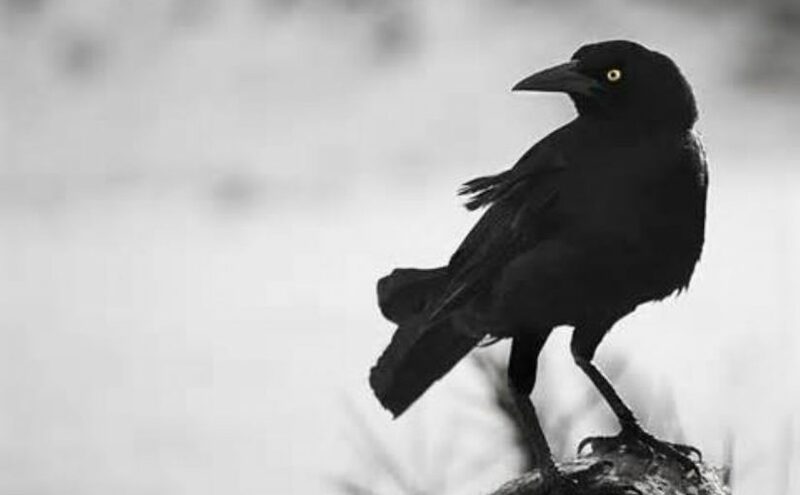 If you see that you hunt a crow in your dream, it refers to a bad daily bread which is got deliberately and willingly. To see a crow egg in your dream may suggest that you will repeat one of your old mistakes. If you see a crow nest in your dream, it implies that you will chose the right way by taking lesson from your old mistake. To see that you are eating a crow in your dream may represent that you will have inheritage, use money, slander a profit which was received without any effort. To see of speaking with a crow in your dream may denote that by talking to a person whom you don't like but who is more experienced than you, you will utilize from this person. To dream that you feed a crow symbolizes that you have weak points against a person who gave harms to you. Alternatively, it tells that you will want help from a person whom you know that you don't benefit from. It also refers to good jobs which you will do without waiting profit. To see a crow dirt in your dream may indicate that you will get benefit from a person who is bad and useless. If you see a crow which is in the dirt in your dream, it signifies that you will meet with one of your old friends or lovers and you will learn that s/he is in a bad condition. To see a crow eating ants and plants in your dream indicates that a person whom you did favour will show ingratitude to you. To see a crow whose wing is broken, injured and bandaged in your dream may imply that you jest about an old person, you underestimate him/her and break his/her heart by knockng off his/her perch.